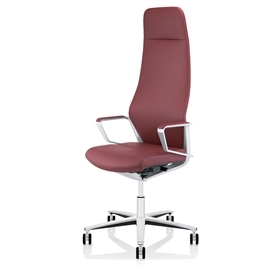 Zuco Signo High Back Executive office chair made in the Zuco factory in Switzerland to exceptionally high standards using the very best leathers with the synchro-x motion mechanism. Comes with loop arms with matching leather armcaps. 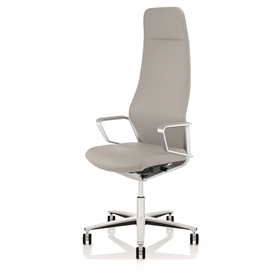 Polished die-cast aluminium base with optional castor selection. Designed by renowned Designer Jessica Engelhardt. 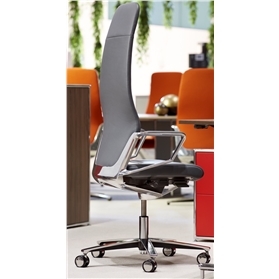 For somebody looking for the ultimate Executive office chair with all of the ergonomic movement for the modern office.